The Richard & Judy Book Club Pick and Sunday Times Bestseller'The sweetest, most uplifting, lovely book about courage, friendship, love' Marian KeyesLondon, 1941. Amid the falling bombs Emmeline Lake dreams of becoming a fearless Lady War Correspondent. Unfortunately, Emmy instead finds herself employed as a typist for the formidable Henrietta Bird, the renowned agony aunt at Woman's Friend magazine. 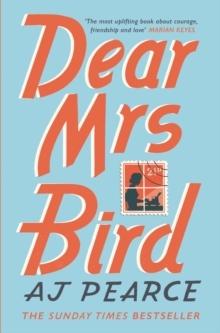 Mrs Bird refuses to read, let alone answer, letters containing any form of Unpleasantness, and definitely not those from the lovelorn, grief-stricken or morally conflicted. But the thought of these desperate women waiting for an answer at this most desperate of times becomes impossible for Emmy to ignore. She decides she simply must help and secretly starts to write back - after all, what harm could that possibly do? 'A proper comfort read' India Knight'A joy from start to finish.